Kramer Kirsh Insurance Group, a Philadelphia-area insurance and financial planning firm headquartered in Bucks County, is announcing a joint charity effort with local non-profit Family Promise Of Lower Bucks aimed at providing critical services to homeless and underprivileged families in the region. 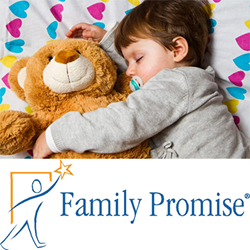 Family Promise Of Lower Bucks works to raise awareness of the ongoing problem of homelessness in the greater Philadelphia area and to provide homeless families with direct assistance during times of need. The Family Promise Organization is assisted by volunteers and congregations of all faiths, and relies heavily on donations from the local community to operate. “Family Promise works consistently to provide shelter and food to the more than 200 children in Bucks County alone that have no home, and this charity drive will help ensure they can continue their mission,” says Greg Kramer, owner and director of Kramer Kirsh Insurance Group. To publicize the Family Promise Of Lower Bucks charity initiative, Kirsh and his team are utilizing a social media presence and an email update system to keep local families involved and informed. The Kirsh Insurance team will also be producing a full page article discussing the charity effort in the upcoming issue of “Our Hometown,” a monthly webzine produced by the firm: http://www.kramerkirshinsurance.com/Our-Hometown-Magazine_39. Kramer Kirsh Insurance Group has championed several other charitable causes in the Philadelphia area over recent months. As part of an ongoing community involvement program called “Agents of Change,” the team plans to find and support a new area charity or non-profit every other month. Those who would like to join Kramer Kirsh Insurance Group and the Family Promise Of Lower Bucks organization in this charity event to help area homeless families are invited to make a direct contribution from this page: http://www.kramerkirshinsurance.com/Keeping-Families-Closer-and-Bringing-Our-Communities-Closer_15_community_cause. More information on previous charities and causes supported by Kramer Kirsh Insurance Group can be found here: http://www.kramerkirshinsurance.com/community-cause. As a Personal Finance Representative in Philadelphia, agency director Greg Kramer knows many local families. His knowledge and understanding of the people in his community ensures that his customers receive an outstanding level of service. Greg and his team look forward to helping families protect the things that are important - family, home, car and more. They can also help clients prepare a strategy to achieve their financial goals. To contact an expert at Kramer Kirsh Insurance Group, visit http://www.kramerkirshinsurance.com/ or call (215) 579-0700.